ReShape's approval by the US Food and Drug Administration comes as a good news for people who want to lose weight but have not achieved such by diet and exercise alone. 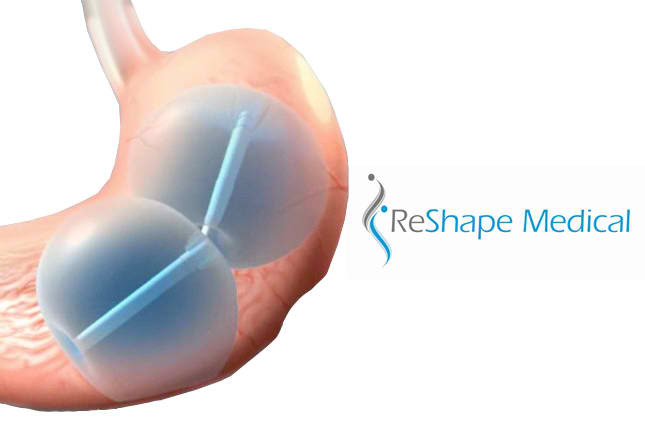 The ReShape Integrated Dual Balloon System, according to the company's website, is the first-of-its kind non-surgical weight loss procedure for those who do not want to undergo surgery or those who do not qualify for bariatric surgery. It is best for obese patients with a Body Mass Index (BMI) of 30 – 40 kg/m2 and one or more obesity-related comorbid conditions. In the study that paved the way for the US FDA approval of ReShape, it was found that patients lost twice as much weight compared to those who only received diet and exercise coaching.In Europe, it was shown that patients lost around 47% of their excess weight and maintained 98% of their weight loss at one year. A patient of ReShape will undergo and three-process journey in a span of one year. First, the patient will be educated regarding ReShape and a personalized evaluation will be done. In the second phase, two balloons will be inserted in a patient's stomach through an endoscopic procedure with sedation. The medical-grade and saline-filled balloons will take up room in the patient's stomach so there will be less space for food. According to its website, these balloons will help curb appetite and will allow patients to enjoy food in healthy proportions. The balloons will be removed after six months, otherwise adverse effects such as intestinal obstruction may occur. Personalized coaching will still be undertaken so that a patient can focus on healthy eating and lifestyle habits to increase success. The third phase will be the continued support and coaching after the balloons are removed to make sure that patients achieve and maintain their optimal weight and lifestyle. Anyone who struggled with diet and exercise to lose weight knows it can be a very frustrating cycle. Still the idea of undergoing surgery or being on medication for life is also unattractive. The ability to make long-term changes in my lifestyle with ReShape has not only changed how I see myself in the mirror, but how I see my future. There are still several risks associated with the use of ReShape Integrated Dual Balloon which include ulceration, perforation, abdominal pain, nausea, vomiting, bloating, belching, heartburn, dehydration, sore throat, device migration, and intestinal obstruction. These may cause the early removal of the balloons before the 6 month period.